Pinehurst has offered the best in American golf since 1895, and nothing has changed since then. PINEHURST, North Carolina – There’s one thing that you can always be sure of when you visit this premier golf destination. There’s always something new and exciting in the works. This time that’s been taken to extremes. Always looking for something different, our visit this spring provided that in an unusual way. Our two rounds were on courses about to face the wrecking ball. That did two things: it showed what resort owners judged in need of updates and it tantalized us for the possibilities of what lies ahead. Both the courses we played were created by well-respected designers in the early 1990s. Mid South Golf Club, an Arnold Palmer design, was a favorite of mine off previous visits. Pinehurst No. 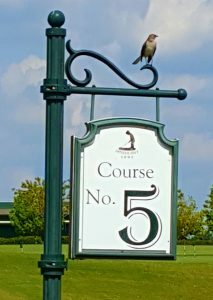 4, created by Tom Fazio, provided the stage for a most fun round in our first (and undoubtedly last) tour of the course. Mid South will be closed on June 5, Pinehurst No. 4 on Sept. 13. The design for the new par-3 course at Pinehurst has visitors excited about what’s to come. The greens at Mid South will be changed from bentgrass to Champion Bermuda, the same procedure that was performed on the companion Talamore course across the street last summer. The greens will be enlarged by 20-40 percent by Southport, N.C.-based Shapemasters, a firm that has previously worked with courses designed by Jack Nicklaus, Rees Jones, Pete Dye, Greg Norman and Tom Fazio. A hard-packed sand base will be installed as part of a cart path improvement and new condos are being built near the Nos. 9 and 18 greens. Mid South is also adding basketball and pickle ball on one of its tennis courts and putting a new barbecue and hospitality area in near the swimming pool. That’s part of a $6 million capital improvement plan initiated by Talamore’s parent company at its four resorts in North Carolina and Pennsylvania. 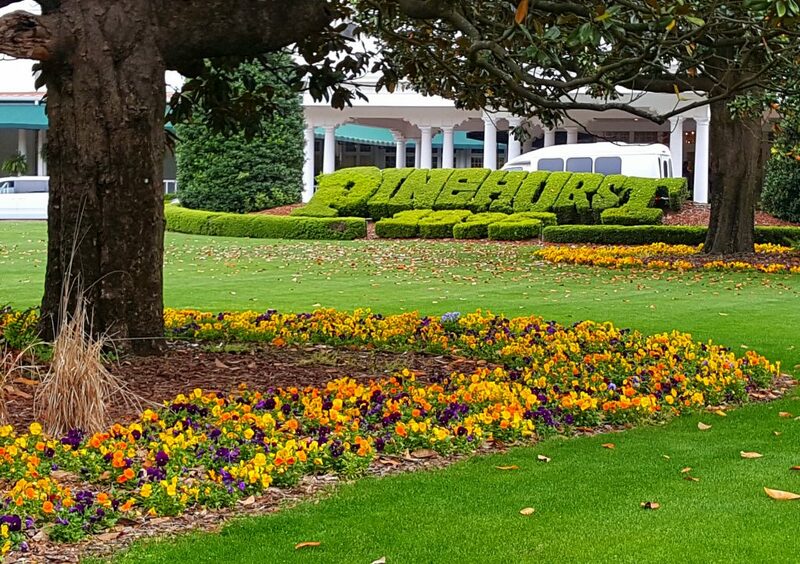 At the Pinehurst Resort, however, the changes will become even more dramatic as soon as this fall. The Pinehurst No. 4 renovation will be a big deal if for no other reason than it’s being directed by the hot architect Gil Hanse, most noted recently for designing the Brazil course that hosted last summer’s Olympics golf competition. Hanse will be putting in wire-grass, which transformed Pinehurst’s famed No. 2 course for the historic back-to-back U.S. Open and U.S. Women’s Opens of 2014. He’ll also eliminate many of the bunkers from the original design. Both moves will enhance a course that has never been short of players in the past. Condo construction is underway near the big green serving the Nos. 9 and 18 holes at Mid South. Pinehurst No. 4 is just part of a bigger transformation at the resort, however. The Deuce, a chef-driven restaurant, is a welcome new addition to the clubhouse and work has already begun at two of its other courses. When everything is done some less frequent visitors might feel they won’t recognize the place. Already the No. 1 holes on Pinehurst No. 3 and Pinehurst No. 5 have been closed. 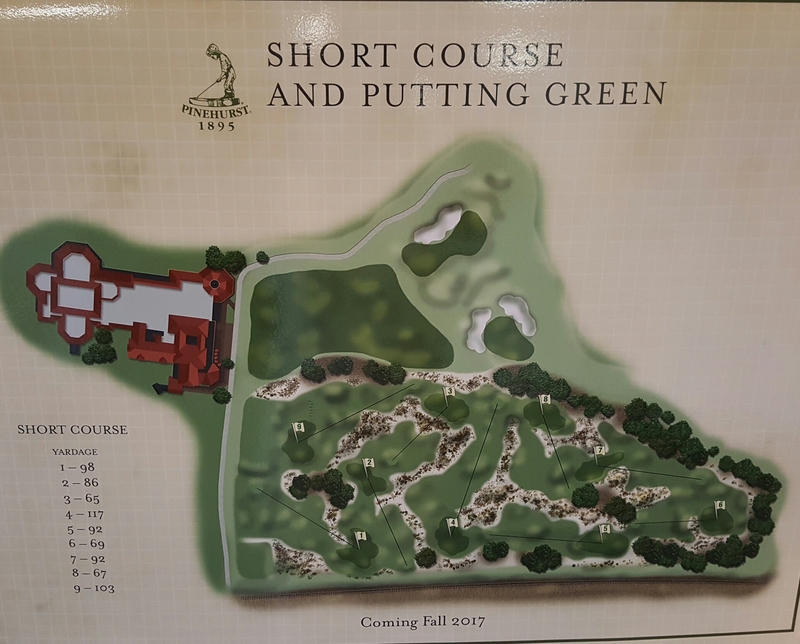 As soon as next week construction will begin on a par-3 course where those old holes had stood. A birds-eye view of what’s going on at Pinehurst’s No. 5 course will be revealing. Pinehurst No. 3 already has a new first hole and two new par-3s. That was required in its transformation to a par-68 course. The new first hole of Pinehurst No. 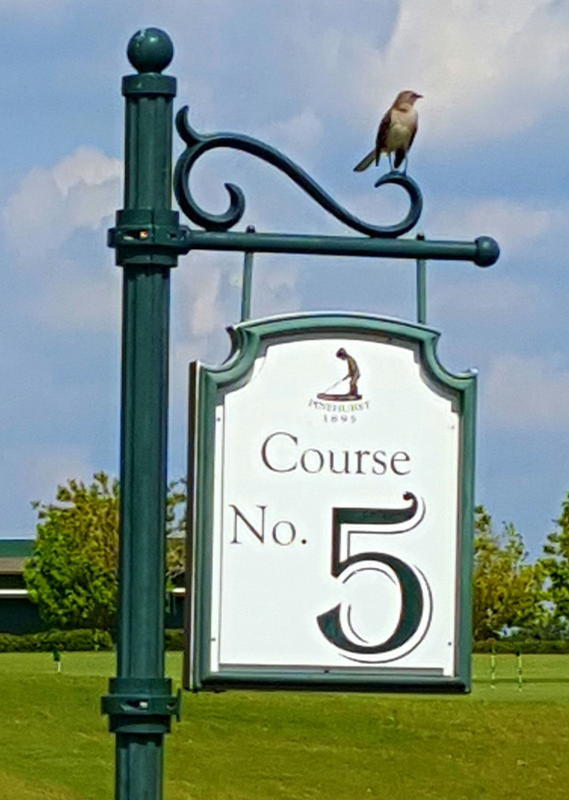 5 is to open on May 1. And that’s not all. Thistle Dhu, the popular putting course, is being moved to a much better location. It’ll be in full view of patrons enjoying all that the clubhouse has to offer. All these changes may not have really been necessary, but they’re all for the good. Pinehurst has always been a trendsetter when it comes to golf destinations, and that’s been underscored by the projects now in the works. Bunkers were a trademark of Pinehurst No. 4, but they’ll be greatly reduced in the upcoming renovation.